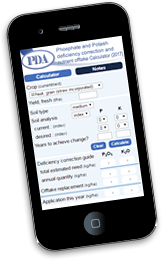 However, it cannot be ignored that large parts of the UK have significant soil moisture deficits currently, and although not yet causing significant problems unless on particularly light land, if this continues it will have implications for nutrient uptake and subsequently yield and quality. Plants rely on potassium to regulate the opening and closing of the stomata. These are the tiny apertures on leaves, mainly found on the underside, surrounded by guard cells which control their opening and closing. The stomata are important for allowing the movement of carbon dioxide into the plant, required for photosynthesis, as well as the release of oxygen and the loss of water vapour. The plant regulates the opening and closing of the stomata through movement of potassium into or out of the guard cells. When potassium moves into these cells, they accumulate water as a result of their higher salt concentrations (through osmosis) and therefore swell, opening the pores. When water supply is short, potassium is moved out of the cells resulting in the movement of water out as well, closing the stomata to prevent water loss to the atmosphere. If potassium levels within the plant are low, the stomata become slow to respond and they do not close as quickly resulting in the loss of water vapour as well as a reduced photosynthetic rate. As a result, plants with an insufficient potassium supply are more susceptible to water stress. 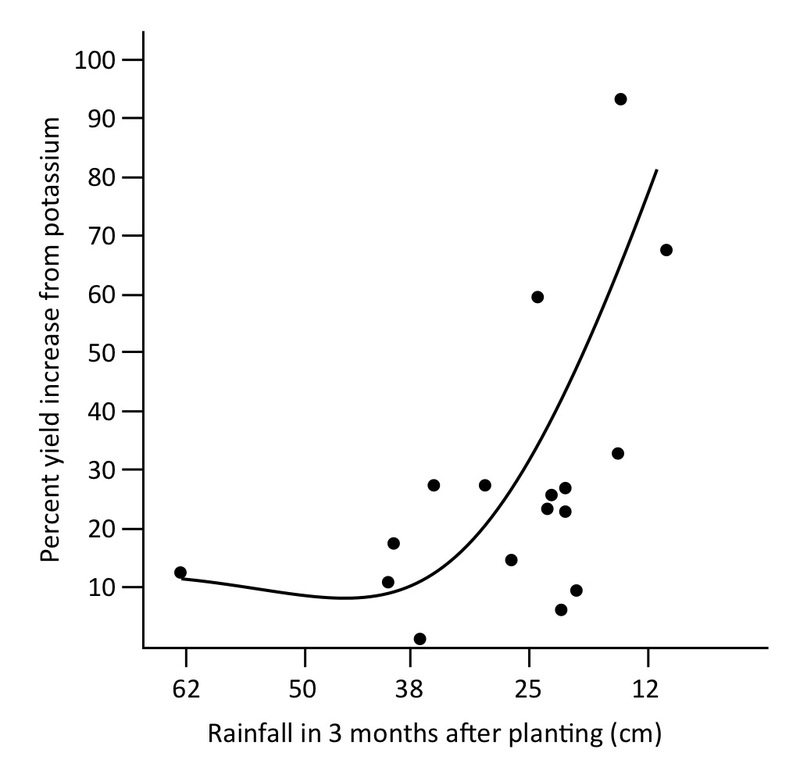 The graph below shows the impact of potassium applications under different moisture conditions in soybeans. As the level of rainfall after planting reduced, the response to K fertiliser increased (Barber, S.A. (1971)).